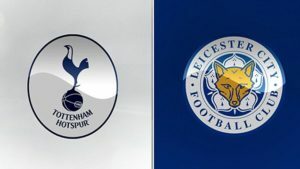 After having come so close to beating Leicester to the title last season, Spurs fell away terribly by way of a comedic collapse more commonly associated with Arsenal or Liverpool from their slippy season a couple of years back. Up until they fell, they had been hailed by many a considered commentator as arguably the best team in the league, showing a composure and steel rarely associated with them. Their ultimate failure reassured many of us who hope for something constant in the world; the sun rising and setting, leaves everywhere during autumn, Spurs doing their fur-coat-no-knickers take. But we’re doing the London club an injustice to some degree – yes, they faltered but they haven’t hidden since. As it stands, they are just one point off the top and are the only team in the league yet to be beaten. The best way to get over a fall is to get back in the saddle and all that. Giddy-up. Speaking about getting back in the saddle, what about Leicester’s last outing? A Vardy-less team put Crystal Palace to the sword in a whirring performance that held more than a few hints of last season. Their 3-1 win saw 75% of their shots on goal converted whilst they also had less possession than their opposition. Classic stuff. The return to the starting team of Shinji Okazaki proved to be telling as the forward proved to be the catalyst for most of their good play. His infectious running and probing provided a genuine attacking threat for the Fox’s and it will be interesting to see whether or not his boss keeps faith with him in the starting line-up for this match. His striking may not be assured as Vardy’s is (was?) but he has more strings to his bow than the Ballon d’Or nominee and has the ability get more out of his team-mates in dangerous areas of the pitch. Spurs are eight points ahead of Leicester after just nine games and are in the leading pack but their form has dipped markedly of late. Their last win was over Manchester City, a notable scalp and performance but it was five games ago. By contrast, Leicester have three wins from their last five played in all competitions and appear to be steadying their ship somewhat. What might help them in this regard is Spurs’ relative goal drought of late. Two goals scored in the four matches since last they won is not a stat that will overly worry the visitors. Spurs are odds on favourites for this game and, having rested a number of their first team players for their midweek cup tie, will be primed and ready to go. Leicester had the whole week to rest and prepare so they too will be suited and booted. Although this column has been less than impressed with much of Leicester’s league form, their recent upswing in form is tempting us to go for a draw in this encounter. BetVictor have a price of 16/5 for that outcome but odds of nearly 5/1 for a Leicester win elsewhere may swing us yet.